Limit Your Screentime — The Contemplative Life. The last few days I've left the computer at home, gone out with a stack of books, and got to it. I often read on a Kindle app on my computer or iPad, but recently I've returned to good old-fashioned books. It's better for your soul. 1. I have got into more good conversations with people at coffee shops or book stores in the last few days than I have in the previous few months. It's partly because when you're not "plugged in," you present yourself as more open to being engaged. It's also partly because I feel like I am thinking more clearly without screen time. I want to engage people in conversation more. It feels natural. I'm in "the real world." 2. We have way more capacity for sustained attention than we think. Being on a device lends itself to constant distraction. Read a passage, check your email, read a passage, look up a book on Amazon, check the news, watch a video, check the price of my cryptocurrency investment, read a blog, read a passage. Without the screen, I can give my full attention to what I'm reading for a significant amount of time. I just got through reading a 500 page novel and a 300 page historical study. No way I could do that on my iPad. Even if I go back and forth between a few books during a specific reading time, it's just different. I'm fully in it. 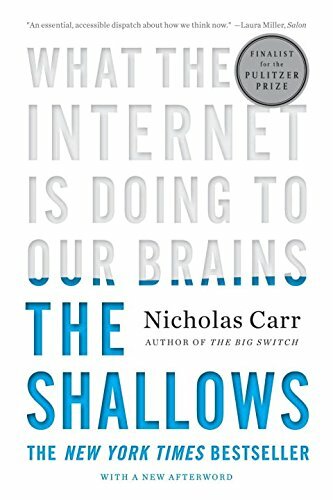 An interesting study on this ability (or inability) for sustained attention is found in The Shallows: What the Internet is Doing to Our Brains. 3. I don't worry about my stuff being stolen when I go to the bathroom. I go to the bathroom in complete peace. 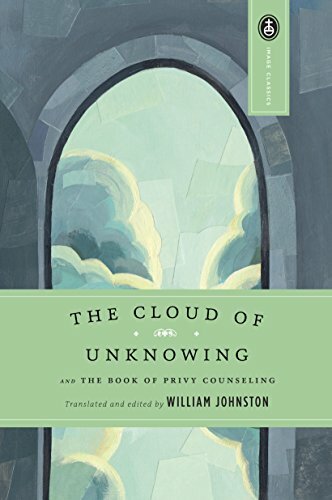 The author of The Cloud of Unknowing recommends that an aspiring contemplative cultivates three habits. "Nevertheless, anyone who aspires to contemplation ought to cultivate Study, Reflection, and Prayer, or to put it differently, reading, thinking, and praying." Reading. Thinking. Praying. I think I do those things better when I'm not on or near a screen.